Moments ago we published the transcript of our extended interview with Facebook CEO Mark Zuckerberg, in which he outlined the company’s mobile plans (it has some really juicy stuff, and we’ll be following up with more analysis). 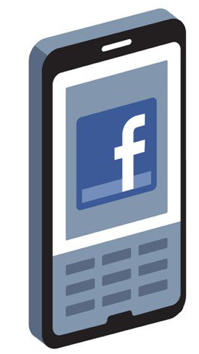 One of the interesting things Zuckerberg discussed was Facebook’s view of an optimal phone experience — one where your phone already knows who you are, and personalizes everything, including your installed apps, based on your interests and your social graph. Facebook has already tried to do this to some extent on the web with its Instant Personalization feature, but Zuckerberg says that it really isn’t possible (at least, not yet) to personalize the entire web experience without building a browser. He hints that this isn’t the case with mobile — and that Facebook may be able to eventually offer a way to turn your entire phone social.